So fun, So scary ... So Elvira! Scared Stiff will get you just that. 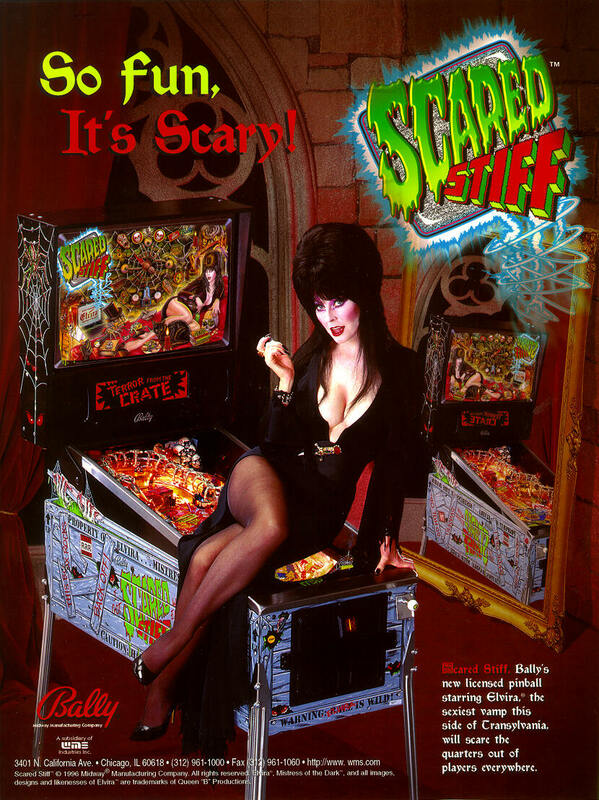 This is a game that fully captures those lovable B-grade late-night horror movies, hosted by the girl with the biggest ... hair: Elvira - Mistress Of The Dark. Players will need to live through the Six Tales Of Terror for a chance to turn on the Stiff-o-meter and really get Scared Stiff. See the Eyes Of The Bony Beast, Terror From The Crate, the Stiff In The Coffin, the Monster's Lab, Night Of The Leapers, and the Return Of The Deadheads; every Tale will get you scared .. Scared Stiff. But that's not all. The 3D interactive backbox, containing the biggest and hairiest spider ever included in a pinball machine, will send shivers along the spines of experts and novices alike. Turn out the lights ... It's time to get Scared Stiff! Industry First! 3D Interactive backbox, featuring a player controlled spinning spider - Used to collect special features and start unique modes. Click on playfield to Explore the Playfield. Click above to view technical support information for Scared Stiff. "You just don't listen, do you?" "Wake me up when you're done!" "Let's see how Scared Stiff you can get!" "It's time to get Scared Stiff!" "Boogie Men: You da maaaaaan!" 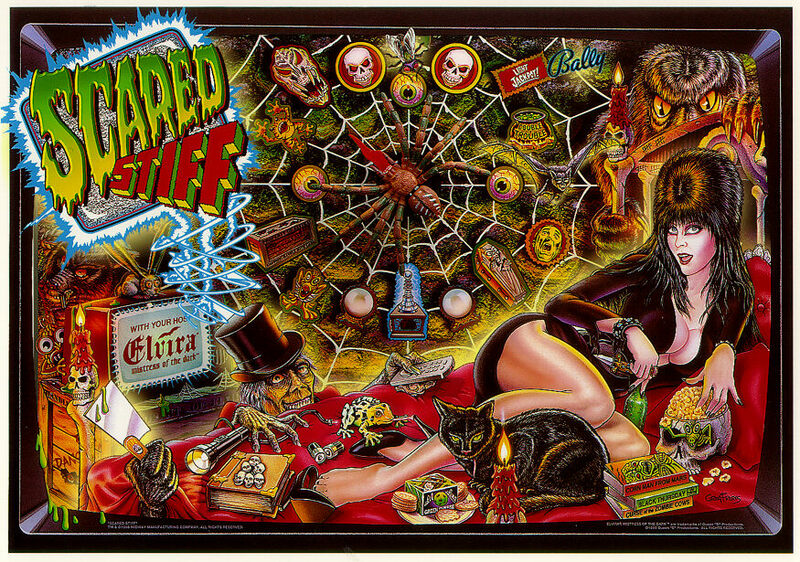 "Scared Stiff" is a trademark of Midway Manufacturing Company. "Elvira", "Mistress of the Dark", and all images, designs, and likenesses of Elvira are trademarks of Queen "B" Productions.